Hiring a ghost-blogger can be a difficult decision. After all, you want someone who will invest as much effort into your company blog as you would, and who will create the unique, high quality content you need to make your blog a success. Luckily, many bloggers offer ghost-blogger services in addition to writing for their own blogs. Ghost blogging enables an author to explore other areas of interest without the worry of maintaining an entirely new site. For your company, hiring a ghost-blogger means finding someone dedicated to the art of blogger who will help your blog become a success. What is A Ghost Blogger? A ghost-blogger (like a ghost-writer) is a person who creates a blog for a company or individual. 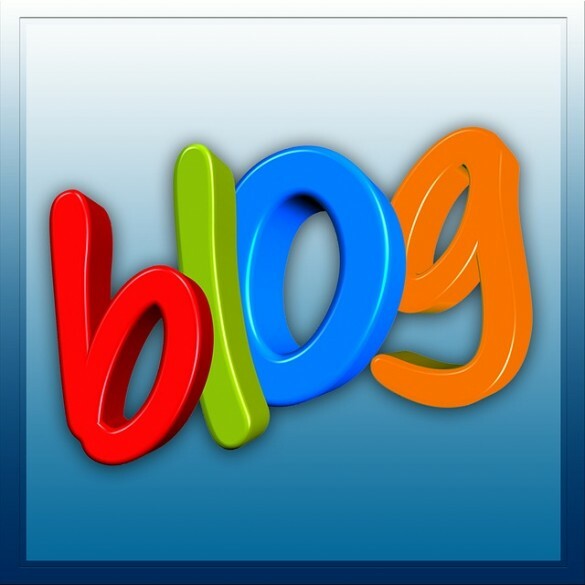 Usually, ghost bloggers won’t blog under their own name on a company blog – they will be the voice of the company. Sometimes, a company will want a blogger to blog under their own name (usually true if a company hires a celebrity blogger). Ghost-bloggers are a great asset to a company as they manage all the nitty-gritty of running a company blog, including topic generation, keyword research for blog posts and writing, editing and publishing content. Often ghost-bloggers will also source images, respond to comments, manage guest-blogging campaigns and will even create info-products. A company usually pays a ghost-blogger a fee per post, although some ghost-bloggers work on a monthly retainer. So you’ve convinced your boss to create a company blog, and he’s decided to hire a ghost-blogger to write it. How do you go about finding the best writer for the position? The best way to obtain applications for a guest-blogging position is to put an advertisement on Blogging Pro Job Boards. Your ad will be reaching a dedicated community of thousands of bloggers writing in a range of different industries – and there’s bound to be a blogger out there who is perfect for you. – The relative experience you’re looking for. If you want someone with industry experience, or a college degree, then mention this in your post. – The amount you’re willing to pay per post. It might sound crass to start a rate in your post, but giving bloggers an idea of what you pay will ensure only people willing to accept the rate will apply. – The preferred nationality. For various reasons (usually associated with tax) a company wants to employ a person from their home country. If you have a preference, then please post it in the ad, as many bloggers work internationally. – The scope and expectations of the position. How many posts will the blogger write each month? Will the ghost-blogger also be responsible for sourcing images and uploading the posts? Is the blogger expected to contribute to editorial meetings or perform any additional tasks? – Your requirements for application: e.g. Email with three samples and a cover letter, fill out an online form, or send in a list of post ideas. – A link to your blog. If you add a link to your blog, potential ghost bloggers can look at what you’ve created so far and tailor their pitch to meet your needs. – A Specific Code or Instruction. Some companies will add a special instruction, such as asking all applicants to include a certain phrase in the subject line. This does two things – it helps companies organize applicants in their email client, and it enables them to eliminate any applicants who don’t follow instructions. When you have all your responses from your ads, go through and delete the responses that receive a definite “no”. Even with a strong, specific advert, you will receive low-quality, generic applications, applicants who don’t have the required experience, and applicants from international destinations. It might be daunting to cull a list of 100+ applications, but deleting the time-wasters will leave you with a handful of strong candidates. What do I mean by voice? The style and personality of the writer on the page; the way they write – the words they choose, and the way they string them together. Are they funny, cute, professional, dry, elegant, sparse, or quirky? Does their voice match your company’s brand? Writing samples that engage you from beginning to end. Articles you can imagine sitting alongside the current content on your company blog. Word choices and blogging practices that reflect the principles, policies and ethics of your company. Many ghost-bloggers are a brand in their own right, and partnering with them could result in increased exposure for your company. If they are ghost-blogging for you under their own name, they can advertise their posts on their own website and social media pages, and their readers might decide to becomes regular subscribers. Many people will read a blog simply because a certain blogger writers for it. It adds an extra level of brand recognition and legitimacy that you shouldn’t overlook. If you’re going to be working closely with a ghost-blogger on creating content for a blog, then it’s important that you choose the blogger whose attitude, style and personality best fit with yours. If you work well together, things will get done faster and the whole blogging process will be much smoother. Hiring a ghost-blogger is the best way to gain momentum for your company’s blog. A ghost-blogger takes care of topic generation, content creation and uploading of your posts, leaving you free to focus on what you do best – running the company. The blogger’s voice can make or break your blog, so it’s important to take the time to carefully consider whom you want to hire to create your blog. Talk to a ghost-blogger today – I promise we don’t say boo! Have you hired a ghost-blogger before? Have you worked as a ghost blogger for a company? What were your experiences? Steff Green is a writer, ghost-blogger and illustrator at Grymm & Epic Copywriting and Illustration. When she’s not relaxing on her little slice of rural paradise in New Zealand with her ducks and sheep, she writes about blogging, SEO and email marketing tips at SEO Joe.